Kid's movies are a dime a dozen these days, and with few exceptions (We're looking at you Pixar) most seem like they're rolled out of a discount warehouse, with average scripts and anything worthy of quality. So, it takes something special for one to stand out. Alas, Capture the Flag won't be capturing anything, anytime soon. A young surfer rallies his friends to stop a billionaire from rewriting history as a way to horde Helium 3, which is the new clean energy. Standard kids fare, right? To it's credit the movie does present the story in a very digestible way, granted you're kids won't be asking how to save the planet anytime soon after watching it. Even the story itself, rollicks along at a decent pace, but it's given it looks like a dodgy CG intro for a video game for the best part, it's hard to get into it as there seems very little consistency from beginning to end. The opening few minutes alone, will let you know what you're in for. However, kids won't be too bothered by how something looks. So one would expect the laughs and gags to come fast and plenty? Nope. Besides one or two laugh out loud moments, that's it, unfortunately. Which is a shame, because there does seem to be a movie that has got some heart here, especially as it does have some wonderful little touches every now again. Especially the Stanley Kubrick nod, which is nothing short of brilliant. As is the Jay Leno nod. 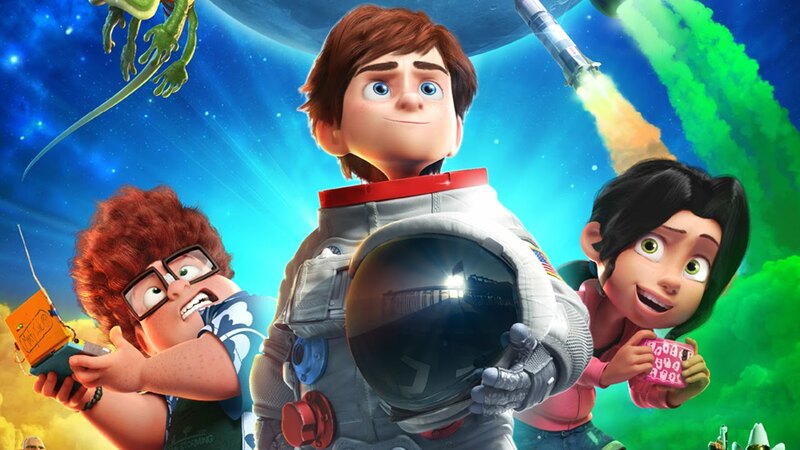 A below average voice cast rounds off a very average movie, which while it'll keep the kids quiet for 90 minutes, it won't do much else I'm afraid.